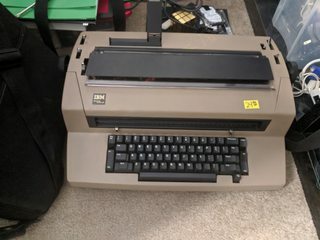 I don't know if any of you guys are interested in the pre-Thinkpad IBM but I managed to run across this at a local second-hand shop a few days ago. 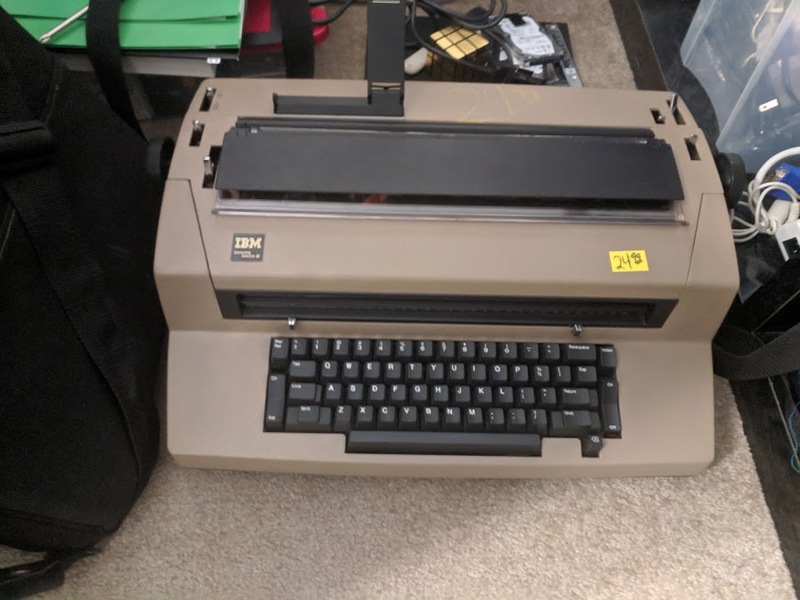 What a marvel of engineering... And you thought your T60 was a tank Also, this thing is in need of a minor repair...so if anyone on this forum knows anything about Selectric repair, PM me, I could use some guidance on how to fix this thing. Has issues with the carriage moving. When I was in the US Air Force every office had an IBM Selectric typewriter on the desk. 1) Thank you for your service! Well, anyone that needed to type on a regular basis had one. I shouldn't have said "every desk"
Oh the IBM blue ones were soooo pretty. I have a blue Selectric II that needs a belt change and a serious reoil job. Something to do over the summer.